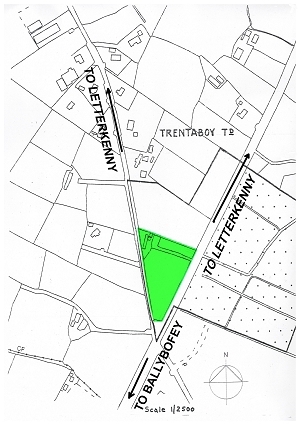 2.1 acres located at Trentaboy, Drumkeen. 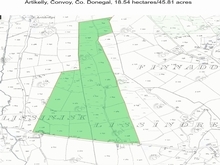 The land comprises of two fields with extensive road frontage onto the N13 Letterkenny National Primary road and also onto a minor public road. 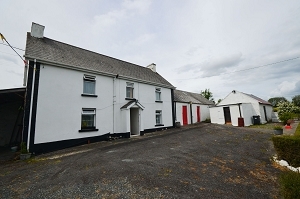 Also contained on this plot is a traditional two storey farmhouse. 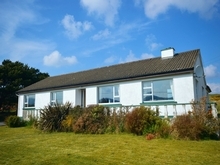 The plot is ideally situated for either residential or commercial use. 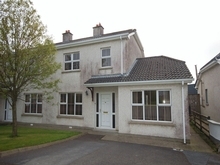 Distance to Letterkenny is approx. 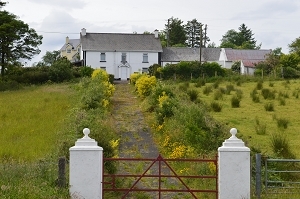 5 miles and Ballybofey approx 6 miles away. 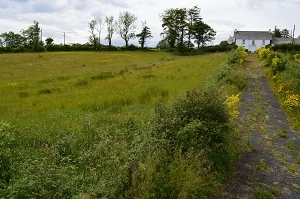 Plot of Land & Traditional Four Bedroom Detached Farmhouse.